p r i s m tickets are no longer available through PROTO packs, but single tickets ARE still available here. Locked away in a sterile room, a sickly child, Bibi, and her doting mother, Lumee, are each other’s sole protectors from the unknown. When a mysterious illness lurking outside their door leaves Bibi unable to walk, her youthful curiosity begins to simmer and a seductive external existence can no longer be ignored. p r i s m is a haunting, kaleidoscopic new work of opera-theatre that traverses the elasticity of memory after trauma. Composer Ellen Reid’s music erupts with color, using choral and orchestral timbres to deliver an eerily distinct sonic world. Commissioned by Beth Morrison Projects, David & Kiki Gindler, Linda & Stuart Nelson, and Elizabeth & Justus Schlichting, with additional commissioning support from Nancy and Barry Sanders, OPERA America’s Opera Grants for Female Composers, funded by the Virginia B. Toulmin Foundation and The Opera Fund: Repertoire Development; The Francis Goelet Charitable Lead Trust; and National Endowment for the Arts – Art Works. Developed by Beth Morrison Projects, Lyric Theatre @Illinois, Arizona State University School of Music, Trinity Wall Street, and PROTOTYPE. La Mama Theatre is wheelchair accessible from a side entrance. 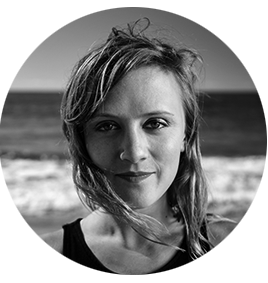 Ellen Reid (Composer) is a composer and sound artist. Her work has been hailed as “ineffably moving” by Mark Swed of the LA Times, “radiant” by Alex Ross of The New Yorker, and it’s been said that her vocal writing would “make you believe that the mythical sirens really existed” (KCRW). Recent projects include dreams of the new world commissioned by Los Angeles Master Chorale, Petrichor commissioned by LACO, HOPSCOTCH with The Industry (dir. Yuval Sharon), and a sound installation for HBO. Upcoming projects include a sound installation for Los Angeles Philharmonic. She splits her time between LA and New York. Roxie Perkins (Librettist) is a writer and director who works in opera, theatre, and film. 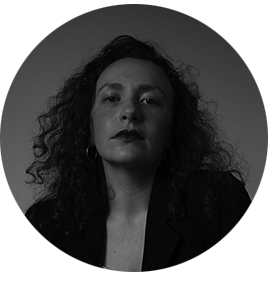 Her work has appeared at The Tank NYC, The LARK’s Roundtable Reading Series, Berkeley Repertory School of Theatre, Oberlin College, UCLA’s MFA New Play Festival, and HERE as part of Downtown Urban Theater Festival. She was awarded a Sundance Playwright Fellowship, and was a semi-finalist for the Eugene O’Neill National Theatre Conference as well as the Princess Grace Award. Her work has been nominated to The Kilroy’s “THE LIST” and We For She’s “WriteHer List,” annual rankings of the best unproduced plays and original TV pilots by women. She directed “Green Umbrella: Theatre of the Outrageous,” a program of three short operas performed by the Los Angeles Philharmonic at the Walt Disney Concert Hall. 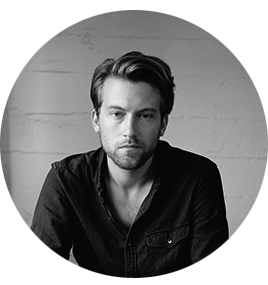 James Darrah (Director) is a Los Angeles based artist who brings together disparate creators and mediums for community-focused collaborations that pair narrative heft and intimate character studies with abstracted, enigmatic realizations of time and space. He is the artistic director of Opera Omaha’s ONE Festival where this year he directed the premiere production of Missy Mazzoli and Royce Vavrek’s Proving Up, also being presented at Miller Theater in New York. Darrah directed the world premiere of Mazzoli and Vavrek’s acclaimed opera Breaking the Waves with Opera Philadelphia in 2016 and the PROTOTYPE Festival in 2017. This season he directs a new production of Philip Glass’ Les Enfants Terribles for the Opera Omaha ONE Festival 2019, and creates and directs Ne Quittez Pas, a re-imagined La voix humaine to be staged and then filmed as part of Opera Philadelphia’s O18 Festival. Member of United Scenic Artists, Local 829, and AGMA and represented by Opus 3 Artistsand IMG Artists (Europe). 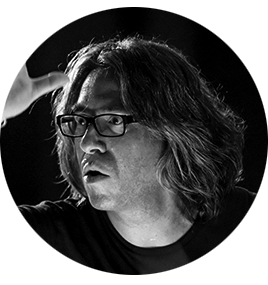 Julian Wachner (Music Director) was named one of New York City’s “10 Imagination-Grabbing, Trailblazing Artists of 2014” by WQXR, and continues to enjoy an international profile as conductor, composer and keyboard artist. As Director of Music and the Arts at New York’s historic Trinity Wall Street, Wachner oversees an annual season of hundreds of events, with duties including conducting Trinity’s flagship weekly series, Bach-at-One, canvassing the entire choral-orchestral output of J. S. Bach, and leading Compline-by-Candlelight, Trinity’s innovative fully-improvised variation on an ancient monastic ritual. In addition, Wachner curates the long-standing and cherished series Concerts-at-One, presenting an eclectic program of weekly concerts for Lower Manhattan and beyond through its HD live webcasting. Also at Trinity Wall Street, Wachner serves as the Principal Conductor of NOVUS NY (Trinity’s resident contemporary music orchestra), the Trinity Baroque Orchestra, and the Choir of Trinity Wall Street. In addition to numerous performances of his music throughout North America, this season Wachner has received composition commissions from Vision into Art (Epistle for orchestra and chorus), the Washington Master Chorale (An October Garden), the Rivers School (Composer-in-residence), and from Friends of Madame White Snake for his second full-length opera (REV23).